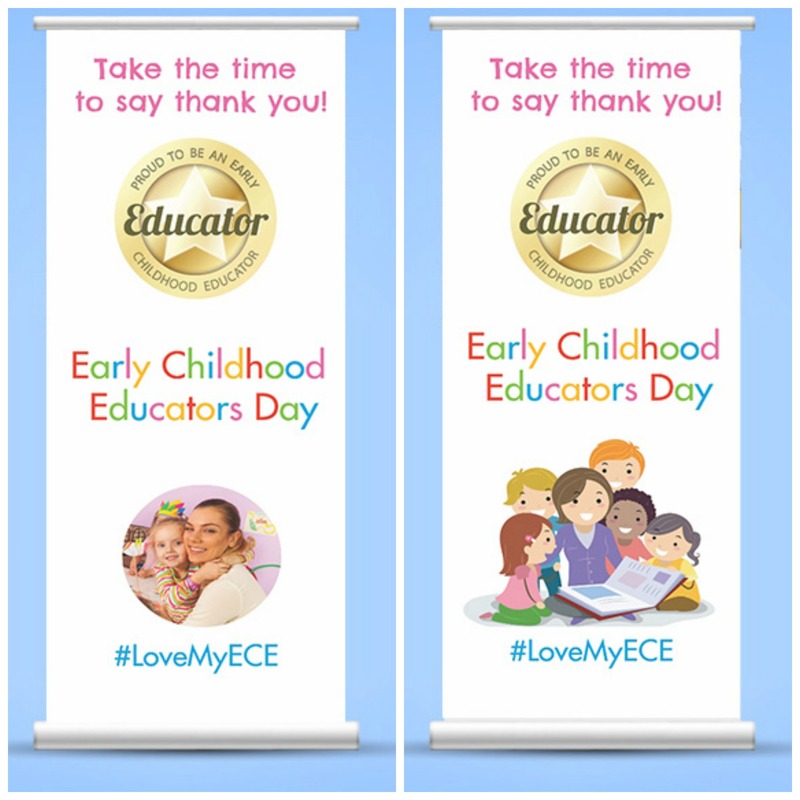 Early Childhood Educators Day banners are available to order! We have received quite a number of requests from early learning service providers for the opportunity to order an Early Childhood Educators Day banner, which looks great on display in your centre foyer (if applicable) or a common area. You can order one of two designs (large size - 841 x 2000mm) via Officeworks at the special price of $109 including GST and delivery. The form requires your Officeworks account number. If you don't have one you will need to set up an Officeworks account here. For WA customers click here. Please complete the order form, selecting option 1 or 2, and return by Friday 24 August for delivery prior to Wednesday 5 September.